The glory has to belong to God not man. And when the glory belongs to God man will not get you there, God himself will.He may use man, but the glory does not belong to man. The glory belongs to God. When things are done God’s way, God will get the glory and His word will not return to Him void. But when we do things and make decisions according to the world God is not getting the glory. We want God to come through but we don’t want to do things His way. We want a man who is committed and has a true heart for God but we keep eyes on the cute guy who lusts after the flesh. We pray for God to use us but we get impatient when we sit at His feet and havn’t heard Him yet. If we truly wants God’s way then it doesn’t matter when or where or how. We won’t be choosy because we want His way. When you ask someone to direct you somewhere. And they tell you the direction, will you reply back saying ” actually I won’t take that route? Did you not ask them so you can be directed? God deserves all the glory out of our situations. But are we truly given Him glory on decisions we did not involve Him? Decisions that don’t please Him? When David could have killed Saul on two attempts, He did not do it.His army told Him to do it, but He did not. (1 samuel 24, 26) They were not going to get the glory for who God Himself has ordained David to be. David obeyed God so God got the glory. Finally when Sauls servant rejected Saul’s son Isbotheth and decided to do everything to make sure David gets the throne, He was killed. He was not going to get the glory for who God almighty Himself has ordained and anointed to be King. Man is not going to get the glory, God is. So when you do things God’s way, just know that no-matter what you may face along the way, God Himself will get the glory. And your end will be good because God puts Himself above His word. No matter how long it takes lets be patient and obey. 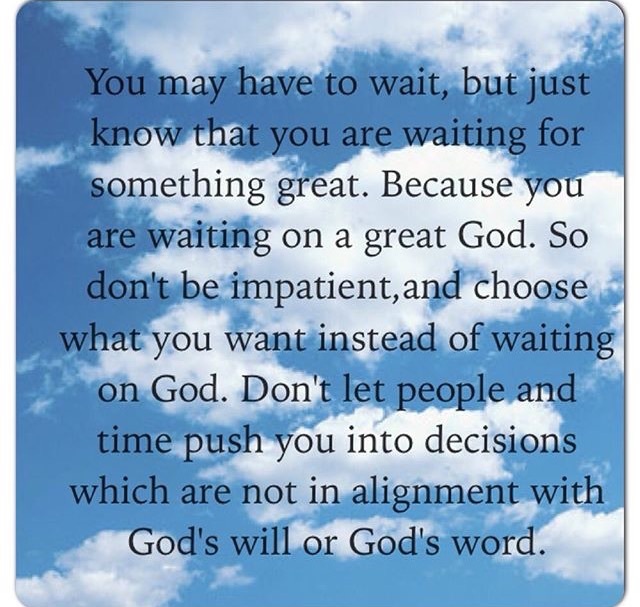 God has a set time for everything and because you don’t know His time doesnt mean its not going to happen. David was anointed but He didn’t step on the throne straight away. He was patient through the test, sometimes alone, sometimes surrounded by people, sometimes cried, sometimes rejoiced, sometimes He was even thinking that Saul will surely kill Him one day. But in the end God got the glory and He waited. The glory of the Lord is holiness, the glory of the Lord releases power, the glory of the Lord brings revelation, the glory of the Lord brings victory, the glory of the Lord brings peace. When Moses left the Israelites to seek God’s counsel, Whenever He returned His face was shining. It was shining so much He had to cover it up at a point ,so He could communicate with the Israelites. Exodus 34:35 and the people of Israel would see the radiant glow of his face. So he would put the veil over his face until he returned to speak with the LORD. But God wants us to see His glory beyond how He impacted Moses.We have the Holy Spirit living in us as God’s children and God’s glory can be manifested through us beyond how it shown through Moses. God wants His glory to be shown through us to a broken world. 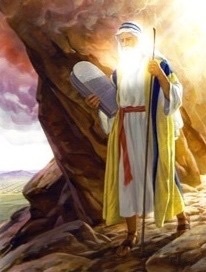 2 Corinthians 3:7-11The old way, with laws etched in stone, led to death, though it began with such glory that the people of Israel could not bear to look at Moses’ face.For his face shone with the glory of God, even though the brightness was already fading away. 8 Shouldn’t we expect far greater glory under the new way, now that the Holy Spirit is giving life? 9 If the old way, which brings condemnation, was glorious, how much more glorious is the new way, which makes us right with God! 10 In fact, that first glory was not glorious at all compared with the overwhelming glory of the new way.11 So if the old way, which has been replaced, was glorious, how much more glorious is the new, which remains forever! 2 Corinthians 3:11-12 Since this new way gives us such confidence, we can be very bold.13 We are not like Moses, who put a veil over his face so the people of Israel would not see the glory, even though it was destined to fade away. Also so amazing that when the glory of the Lord filled the tabernacle, that the Israelites would stop their Journey until the day God’s glory left the tabernacle. In the presence of the Lord there is freedom, there is liberty, there is fullness of Joy. 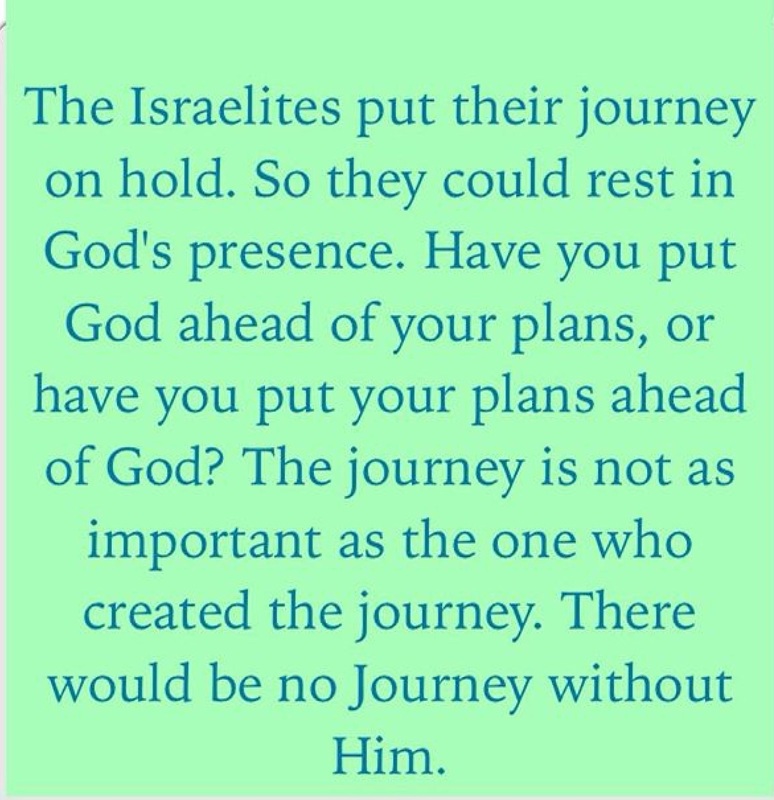 The Israelites needed to rest in God’s presence. So much that their journey to the promise land was on hold. God’s presence is more important than the plans you have ahead and the plans He has for you. Because its resting in His presence that you will uncover the steps that will lead to your victory. The Victory matters and it will happen, but you’ve got to spend time with the King of Kings to know how you will conquer. You’ve got to rest in His presence and wait on Him to uncover the secrets to your next level. We’ve got to choose a time to rest in God’s presence. We’ve got to make time where everything is put on hold for our King. Because He creates a new day, and we won’t be able to enter the new day and walk in His steps without consulting Him. The Israelites put their journey on hold. Have you put God ahead of your plans, or have you put your plans ahead of God? The journey is not as important as the one who paved the journey. There would be no Journey without Him. We can experience more of God’s glory when we spend time with Him. When we seek His face and put everything aside and put our mind and our hearts on Him. When we say “Lord I want your presence more than all you have for me”. More than the riches and gold that will perish. Hurting people hurt people. The only way to know you are healed is when you don’t inflict your pain on others. When your wound is completely healed theres no agenda to inflict the pain. When its healed you only go around wanting to heal people. Telling others that their pain can also go away. That its a matter of handing over your wounds to God. You no longer think that you are a victim of pain. Rather you are a survivor. And a true survivor will tell others of their survival story. If its not spoken of nobody knows you survived. Somebody may give up because you never spoke of how you survived. 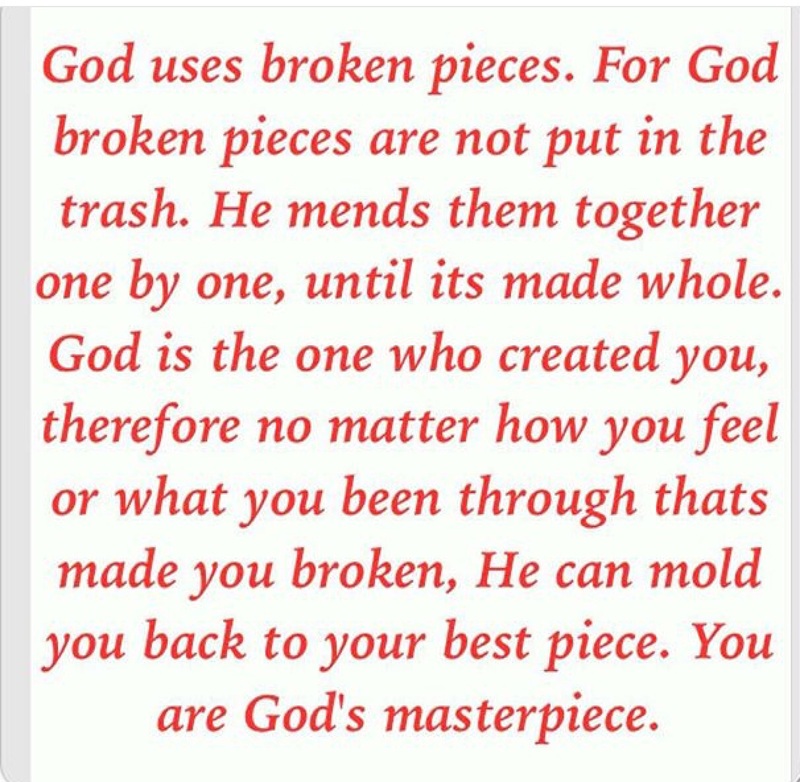 God uses broken pieces. 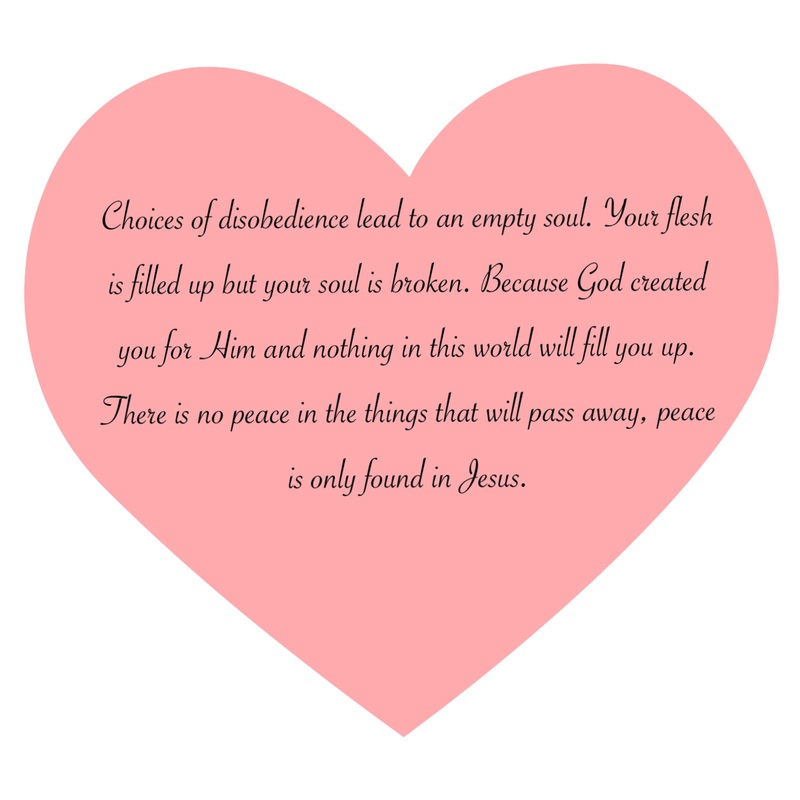 For God broken pieces are not put in the trash. He mends them together one by one, until its made whole. God is the one who created you, therefore no matter how you feel or what you been through thats made you broken, He can mold you back to your best piece. You are God’s masterpiece. A master piece is the best of all the pieces of works. You are God’s God’s best piece. Like a broken art piece ,God knows what you consist of, He knows the best in you. Because He made you. 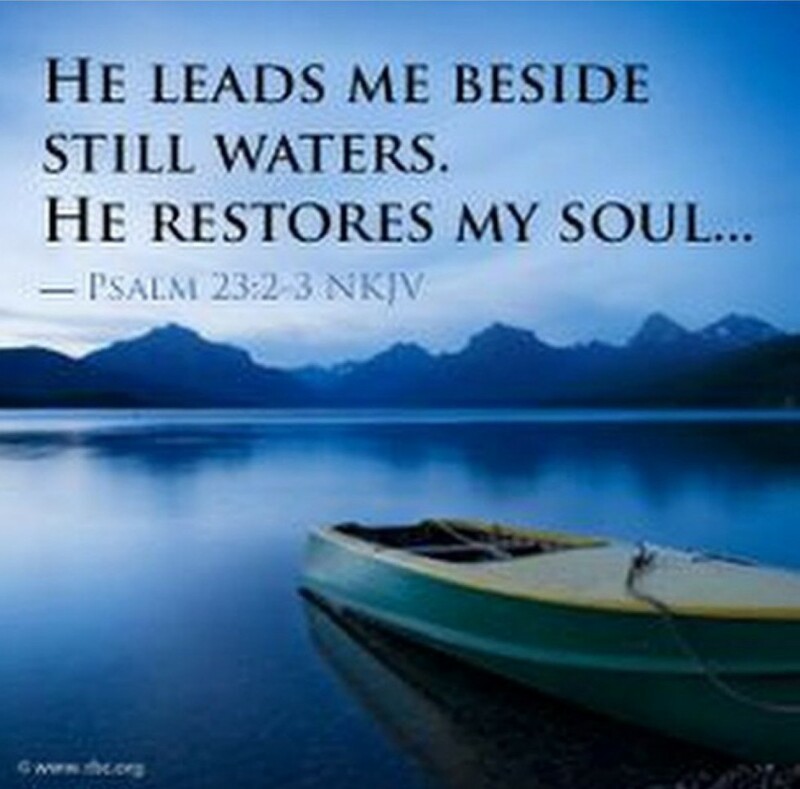 Therefore no matter what has caused you pain, He can heal your pain and restore you. The healing may not take a day. Its a process, sometimes you may not see the results manifest immediately. But every time you hand over your wound He is healing it. When a wound is healing, you may not see the white blood cells and antibodies at the sight of the wound involved in the process . You cant see the platelets involved in rebuilding the wound. Sometimes all you can see is the red wound. But through it all the healing is taking place internally before manifesting itself physically. The most important part is the process of healing within. When you hand your wounds over to God He is the master healer, who heals you from within. When you keep putting your mind back on the pain. Its like touching an open wound or reopening a healed wound. The wound cannot heal properly because its been festered with. Every Time your mind goes back on the pain refer it to Jesus your wound healer. God knows what happened, when it happened and He is the greatest healer of all your wounds. In 1 samuel 12 Samuel gave an account of all the great things God has done for the children of Israel. 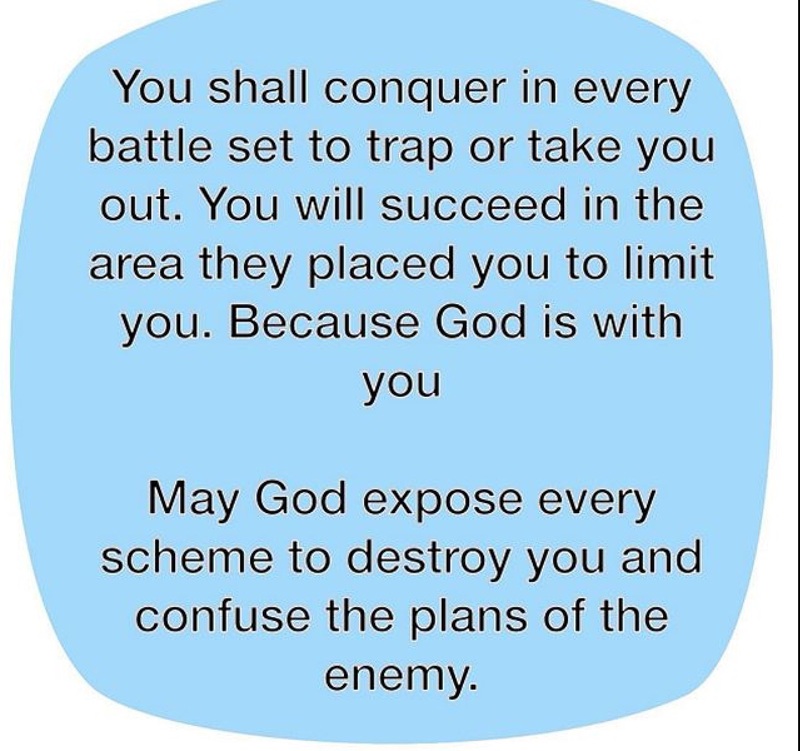 Even when they disobeyed and went wayward and they landed into the hands of their enemies. When they cried out to God, God heard their cry and delivered them from the hands of their enemies. Even when they asked God for a King to rule over them, God chose a king for them, but God told them to make sure they don’t turn aside from following Him. Now if you fear and worship the Lord and listen to his voice, and if you do not rebel against the Lord’s commands , then both you and your king will show that you recognise the Lord as your God. God knows everything we need. But He doesn’t want what we need to destroy us. God is willing to give us our hearts desire when we make Him the focus. He doesn’t want what we desire to be our idol. He doesn’t want our eyes more on the things He gives us than putting our eyes on Him. Because those things did not create you, He did. Those things did not give you life, He did. He will give us the desires of our heart when we desire Him more than the earthly desires. Its important to recognize and thank God for what He has done daily and thank Him for life. When you remember what Jesus has done for you, you will give thanks unto His name. 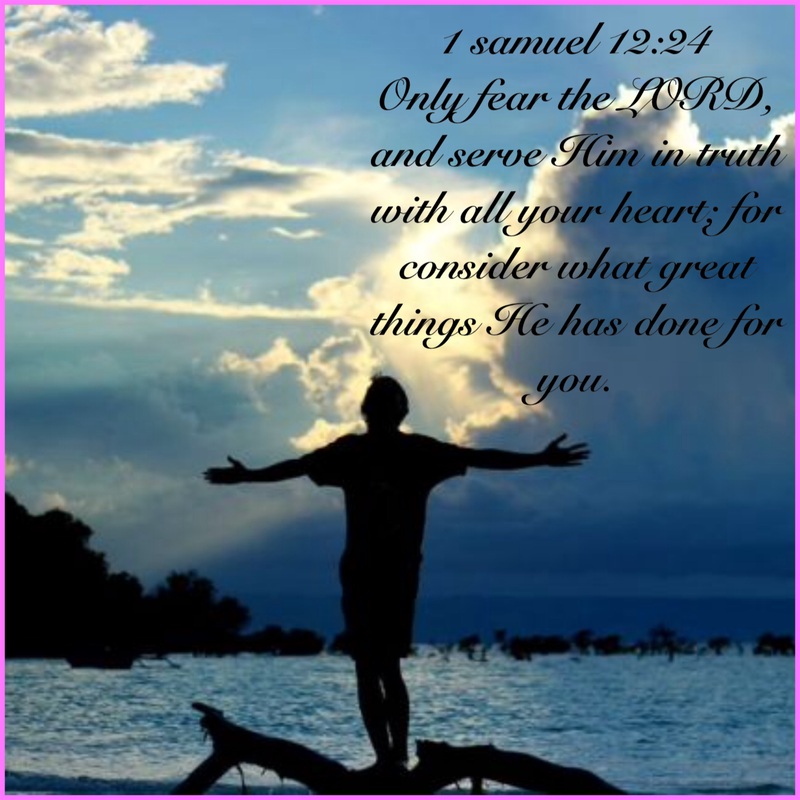 Only fear the LORD, and serve Him in truth with all your heart; for consider what great things He has done for you. When you recognize someone as a friend you will trust them and want to be around them. When you recognize your parents as your parents you will respect them and listen to them. When you say you believe in God, when you recognise Jesus as the king of Kings you will obey Him. You will want to spend time with Him. Recognising someone means you are aware of what they have done for you and you are thankful for it. It means you are grateful for their love, provision, protection and everything they have done. And you will not pay back the good they done for you with evil. Have you recognised God? The Lord placed this verse on my heart and led me to write this back in february. Our Heavenly father loves us. A father of the fatherless, a defender of widows, Is God in His holy habitation. God is a father to those without fathers and those with fathers.Less of their father. Those who don’t have the main figure. This means those without fathers still have a father, they wont be in need, they wont be led astray, they wont be afraid, they wont feel unloved, they wont be mislead. Theres so much your earthly father can do, He cant be everywhere and know everything. But our heavenly father is omnipresent and omniscient. Whether your earthly father has been around or not, you haven’t missed anything in life. Because recognizing and knowing your heavenly father means everything beyond your earthly father is provided. Getting to know your heavenly father you will be counseled, you will become the great man or woman you are called to be. You haven’t missed out because you never spent time with your earthly father or seen him. Your heavenly father knew you before you were born. Your earthly father hadn’t even seen you before you were brought into existence by your heavenly father. Your heavenly father chose your earthly father. Your earthly father waited on you( a special gift) your heavenly father delivered.your heavenly father wants you to know Him as well as He knows you. This means spending time with him. Your heavenly father delivered you for a purpose and one day you will go back to him.He wants you to know Him when you see Him again. When you were delivered you didn’t know Him but when you return back to Him He wants you to know Him. If you know Him here you will definitely know Him when you see Him one day. No matter what you may face. Our heavenly father will be there, through the trials the ups and the downs, He will stand by us. 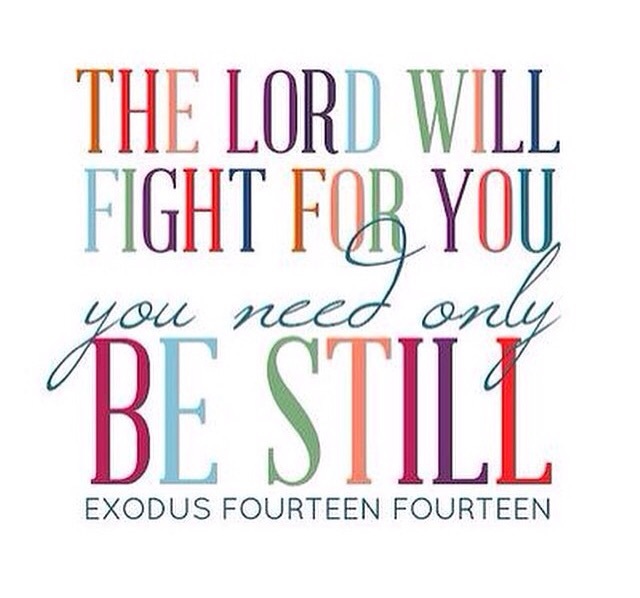 Knowing Him means we have authority, we are protected, He will never leave us nor forsake us.